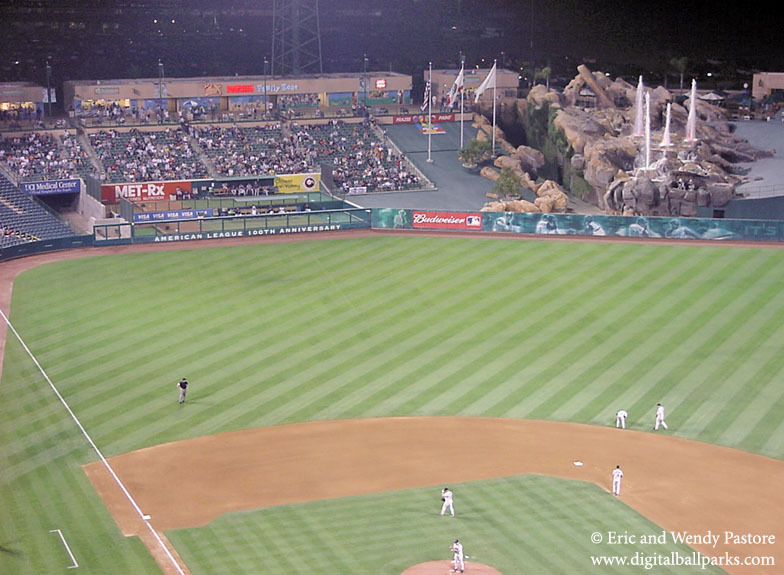 The new Los Angeles Angels would have the indignity of spending 4 very long seasons, at Chavez Ravine - Dodger Stadium. Realize that this was a new Major League team, trying to make a major name for themselves on the American League circuit. Now they were playing at a ballpark that wasn't theirs... where they were the "other team that plays at Dodger Stadium" when the Dodgers were on the road. The Dodgers got all the good concessions and advertising revenue... and absolutely all the fans. The Angels meanwhile were almost invisible.